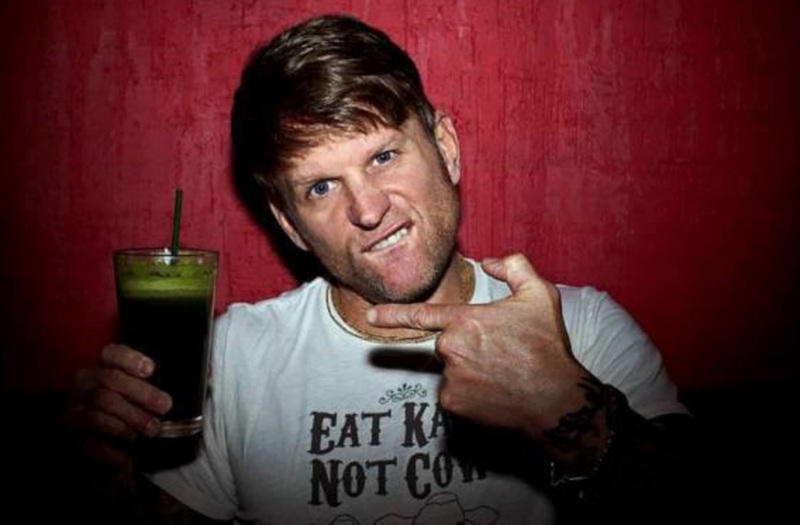 Punk legend, Ironman athlete, and plant-based advocate John Joseph has announced via Twitter that he is scheduled to appear on the popular Joe Rogan Podcast August 2. Having turned his own life around on a plant-based diet, Joseph has said his is a lifestyle which is 'about healing your soul'. The 55-year vegan is an established ultra-endurance athlete and the author of pro-vegan book Meat Is For Pussies. He recently found himself in the spotlight while mentoring London Real online talk show host Brian Rose to complete his own 70.3 mile Ironman on a plant-based diet. Joseph is not always known for his gentle approach, and has been described by Rose as 'one of the scariest dudes' he's seen. London Real host Brian Rose talks Ironman with Plant Based News' Peter Wintrip. Subscribe to the PBN YouTube channel here. Rose's appraisal aside, Joseph's recent Twitter post was the picture of congeniality. He wrote: "Looking forward to being on the @joerogan podcast Aug 2nd - Joe is a super smart dude - looking forward to our conversation - respectful conversation." Joe Rogan is no stranger to the public discussion of veganism. The famed podcast house has discussed plant-based living with Kevin Smith, and has been criticized for his views on the topic by top plant-based doctor, Milton Mills, MD.